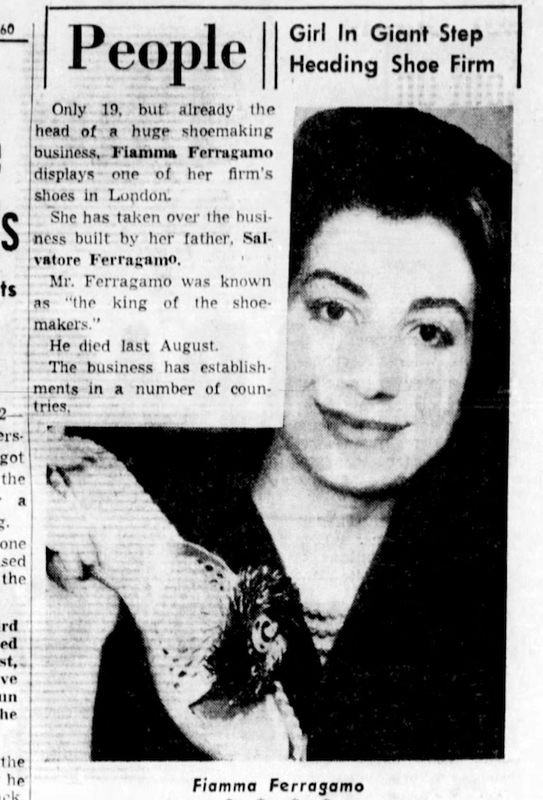 Fiamma Ferragamo passed away twenty years ago today. A “SHOEMAKER OF DREAMS” NO MORE. 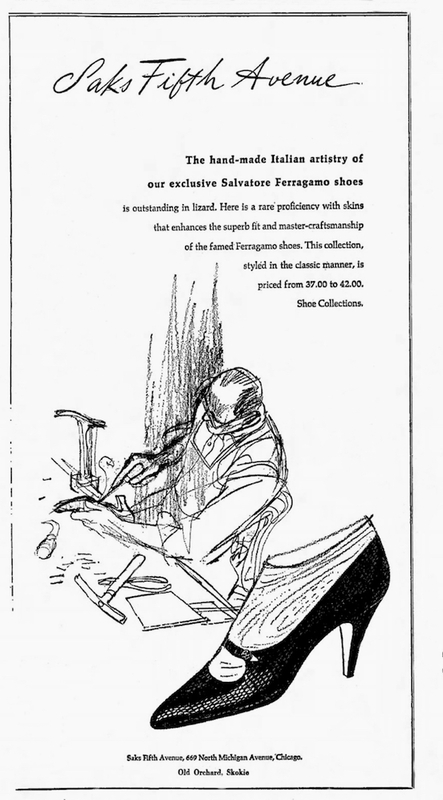 When Salvatore Ferragamo knew he was dying, he had staff specially trained to help his brother and his 19-year old daughter Fiometta carry on the business. Now that he is dead, they have taken over. “It seems my father knew he was going to die soon,” she told me sadly. “My mother and I wanted me to go to university to study languages when I left school. But my father said no. He insisted I come into the business and learn about it while he could teach me”. 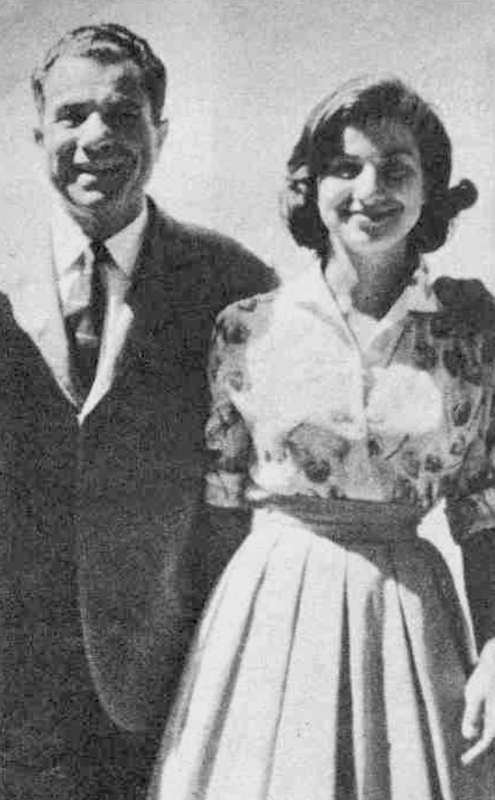 “In March (1960) he told me I would have to design the autumn collection for him. When I finished I took the shoes into his bedroom. He picked up every pair and examined them closely without saying a word. When he looked at the last pair, he put them down carefully, and then looked up at me for the first time and said he was very pleased with the collection”. And that was the beginning of a 38 year stint at the helm of the company: she managed a successful transition from what could have been a fatal blow and brought the brand into the new era. We can’t help but notice why no books, exhibitions or tribute - save for single products - were ever done to celebrate Fiamma’s work. We would certainly trade the nth book about Salvatore for a well researched one about her daughter. Wouldn’t you agree? To tell the whole truth: a photographic book about Fiamma Ferragamo was published not long after her death, but it was a private press strictly for family and associates. Too little for the rest of us.